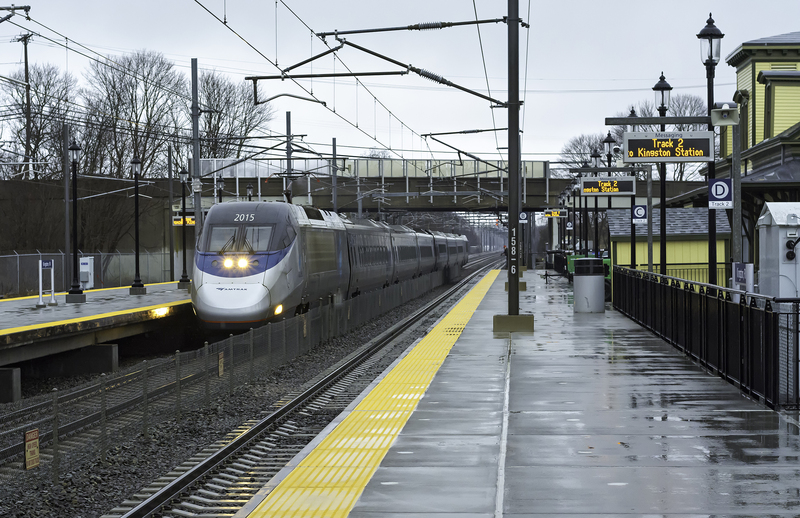 Amtrak Acela 2015, operating as train 2171, passes Kingston Station at a reduced speed with a strong odor of heated brake shoes. Unfortunately the arrival of actual rain dispersed the earlier mist and fog that might have made for more interesting photos. Photographed by Warren Beckwith, April 4, 2018. Added to the photo archive by Warren Beckwith, April 4, 2018.